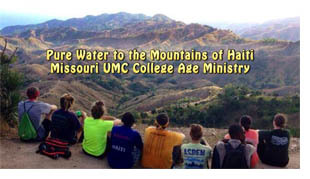 Students from the college age ministry of Missouri United Methodist Church traveled to Haiti to install pure water filters in homes. For this MissionCast we interviewed Joy Jenkins and Audrey Wagner two of the missionaries on the trip. The water filters they installed are of a smaller less costly variety than those installed by previous mission teams. Audrey tells about the new filter and they both share about their experience in Haiti. Rev. Ronnie Miller-Yow is pastor of the Wesley Chapel United Methodist Church, in Little Rock, Arkansas. He is also Chaplain at Philander Smith College and President of National Black Methodists for Church Renewal. (BMCR) He and his congregation are committed to reaching out to the Philander Smith College Students. 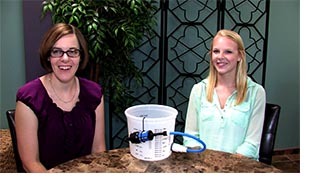 Thanks to UMTV ( United Methodist Communications) for the material for this MissionCast. Meet Kristen Thackery, one of 8 college age young people who recently traveled to Haiti and installed pure drinking water filters in 40 homes. The young people on the team came from congregations from across that state. Kristen tells of their experience in this MissionCast. 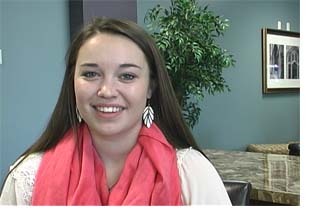 Kristen is a sophomore at the University of Missouri and is a member of Missouri United Methodist Church.